Mom, You Guide Their Hearts You feed them, bathe them, hold them, kiss them. Your days are spent caring for and nurturing your children. In all the distractions of life and the demands of motherhood, how can you know if your children will grow to follow after God? Bestselling author, Elizabeth George has journeyed through the ups and downs of mothering children into adulthood. 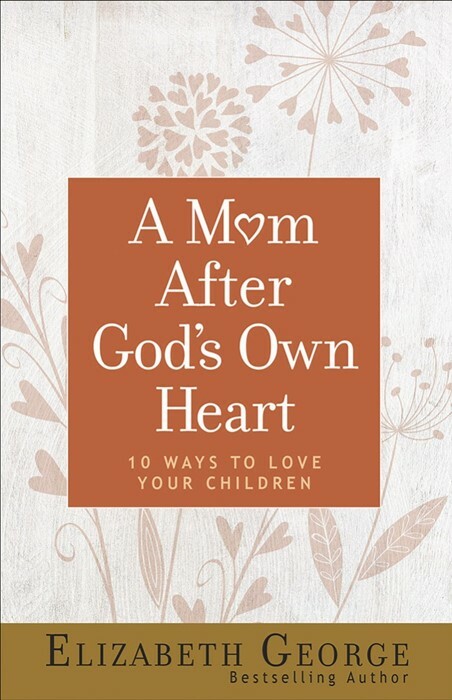 In A Mom After God's Own Heart, she offers practical tips and encouraging advice to help you raise children of all ages in the knowledge of the Lord. Here you'll find . . . • Easy-to-implement principles for enjoyable and effective parenting • Specific tools for teaching your children about God's love for them • Biblical insight to encourage you along the parenting journey Mom, as you meet your children's daily needs, know that God has given you a unique position of influence over their lives—you guide their hearts. No matter what their ages, you can help them experience His love, blessings, and provisions when you become A Mom After God's Own Heart.